The UX Series is launching today! Have you ever wondered how to best design the user experience in an interactive documentary? 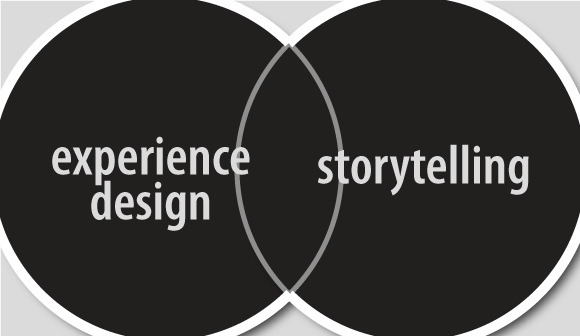 Have you struggled to find the right balance between design methodologies and good narrative? This is what the UX Series is all about: an investigation on how to approach and place UX in the i-doc production process. Now that i-docs are not “new” anymore my interest is shifting from “how to define an i-doc” to “how to conceive an engaging i-doc”. Through all the interviews that I have done in the past years with practitioners of all kinds, I have noticed that there is a gap of production methodologies (which includes a different understanding of the role of the user) within the teams that collaborate in the creation of interactive narratives. Web designers tend to start with the user in mind, while film producers start with their story as a priority. It is a generalisation, but it holds a lot of truth. In the production process that links the two schools of thoughts too many compromises are done: design is only validated by the filmmakers, rapid prototyping is not done properly, very little is tested and users are only involved at the real end (to check the navigation, instead of the user experience). So I wonder…. where is the user in all this? Today I am starting with the first question: What would it mean to apply design thinking to the creation of i-docs? You can watch Paula Zuccotti‘s (The Overworld) answer here below. But if you want to see how Ingrid Kopp‘s (Director of Digital Initiatives at the Tribeca Film Institute) replied to Paula Zuccotti, you will have to follow this link. That is where it gets interesting – as the debate opens up to more ideas. From there you will be able to add your comments, your references or your own Google Hangout reply. This is work in progress. Every 10 to 14 days I’ll be releasing a new question. Hopefully by the 20th of March (i-Docs symposium) we will have lots to discuss!!! But for now, if you want to know more about the UX Series follow this link.